Over the years Greyhound has acquired many licences through acquisitions of companies like Voyageur, Gray Coach and PMCL to supplement our own P.V. licenses. I wish to confirm that Greyhound does indeed hold all the required operating authorities to provide this service under the P.V. licences issued to it by the Ontario Highway Transport Board (“OHTB”). This was verified before the service commenced, validated with senior staff at the OHTB and, prior to their coming into force, the schedules for these services were duly filed with the OHTB as is required by regulation. Greyhound has long supported, and faithfully followed the OHTB regulations in regards to our services in Ontario. When we had contacted the OHTB, they were unable to provide a listing of services licensed to operate between Waterloo Region and Toronto Pearson airport. They were able to provide the license when given a company name, so we had requested those for Airways Transit and Greyhound. We had not anticipated that subsidiary companies would have separate licenses. We have not yet been able to track down the specific license that applies in this case, but we do not have reason to doubt Greyhound’s word here. We are very excited about the initial response to this new service. We hope to increase frequency to match demand. 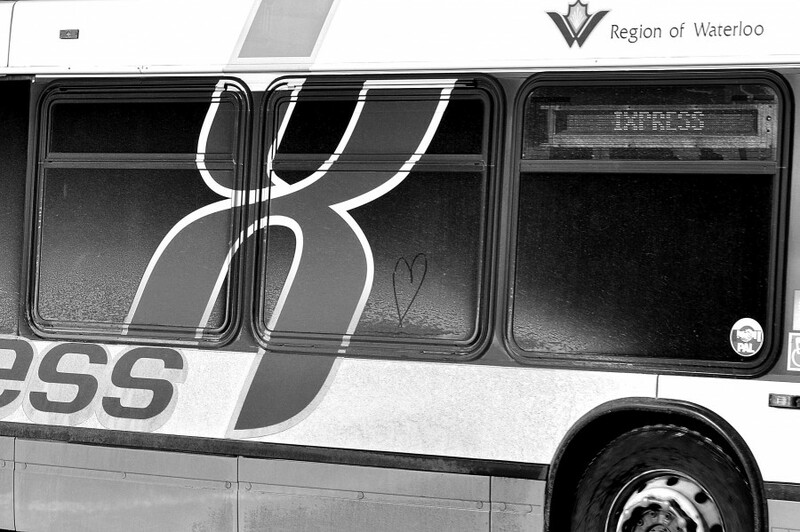 We, too, are enthusiastic about useful new transit service from Waterloo Region and increased frequency! We’re happy to have been mistaken about the status of Greyhound’s airport service. The main question at this point is what exactly the province is doing in its review of intercity bus regulation. There have not been any public updates in many months. As it stands, it is hard to find information about intercity bus service in Ontario and, consequently, hard for new entrants to improve such service. [Updated] Is Greyhound pulling an Uber? Update: Greyhound has reached out to let us know that they do, through a subsidiary, have a license to operate this service. Please see our new post for an update. Below is the original post. 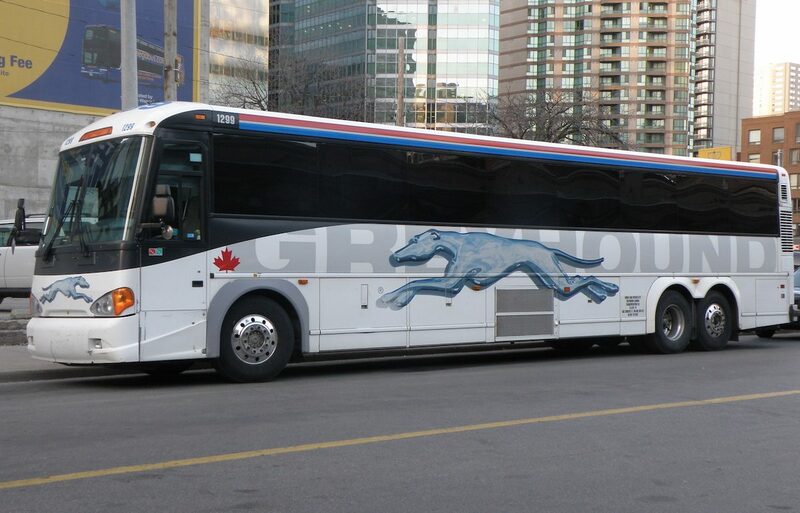 Greyhound recently launched scheduled service between Waterloo Region and the Toronto Pearson airport, to much fanfare. To many, this is an obvious and useful connection. It is also, as best as I can tell, illegal under Ontario’s Public Vehicles Act. Ontario has a licensing system for intercity bus service (that we’ve written about before) which effectively grants perpetual monopolies for a private company to run scheduled service on a corridor. GO Transit, the regional transit agency operated by the provincial government, is exempt from these regulations, but prefers to avoid its buses directly competing with private carriers. Last year the Ministry of Transportation put forward a deregulation proposal that is still under review. Greyhound and Coach Canada are the biggest beneficiaries of the current licensing regime. For Waterloo Region in particular, Greyhound provides the direct service to Toronto, Guelph, and London – and no other private carrier is allowed to. It has poor reputation among riders, but there’s no other direct options. Similarly, Coach Canada provides the direct service to Hamilton. And Airways Transit provides scheduled van service to Toronto Pearson airport. I was curious how Greyhound dealt with the system given Airways Transit’s license, so I looked up recent issues of the Ontario Gazette (where new license applications must be published). Failing to find anything, I emailed the Ontario Highway Transport Board, and was able to obtain the current operating licenses for Airways Transit and for Greyhound. And indeed, Greyhound’s license not only doesn’t allow airport service; it explicitly prohibits it. Greyhound is using a move from Uber’s playbook, with the difference that it’s already the dominant player. The same licensing system that serves to protect profitable monopoly routes for Greyhound is the one that it’s apparently breaking in order to get more business. If this is the case, it is not a tenable situation. If Greyhound can brazenly and intentionally break the rules, then there shouldn’t be anything stopping anyone else from offering service that would break Greyhound’s stranglehold on bus service along the Highway 401 corridor. GRT needs a frequent service vision. In a recent post, we took a look at the issues with Ontario’s intercity bus system, the role of the Ontario Highway Transport Board (OHTB), as well as what we don’t know. Since then I’ve spoken with Felix D’Mello, Board Secretary at the OHTB, and I can shed some light on current licence holders and cross-subsidies. It turns out to be a simpler story than I had anticipated. 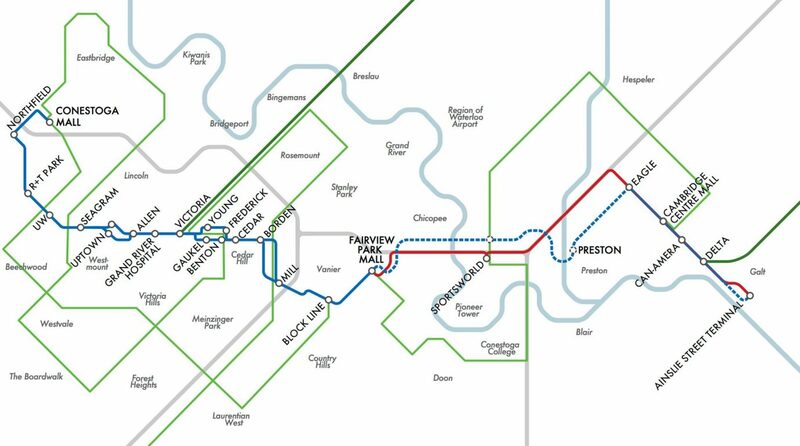 Clarity from the OHTB is needed on what, exactly, is the current state of intercity transit in Ontario. Which companies hold the licence for which city pairs, and what amount of service do they provide? What cross-subsidized service is provided by private companies, and what are the arrangements supporting it? Here in Waterloo Region, people love to complain about Greyhound buses to Toronto, but few complain about Ontario intercity bus regulation as a whole. They should, as it has much to do with the relatively poor quality and availability of intercity transit here. Now Coach Canada and Pacific Western Transportation (PWT) have launched a campaign for “modernization” (read: deregulation) of the Ontario intercity bus system, with a “Where’s The Bus?” website aimed at the general public. 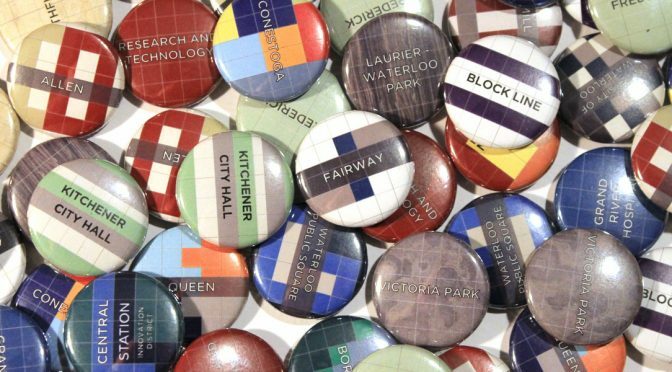 If you’re interested in talking about Waterloo Region walking, biking, and transit, please join us at our pub night on Monday, February 24 at the Huether Hotel, between 6:30pm and 9:00pm (Facebook event page). We’ll also be discussing ION rapid transit and what support is needed as it comes to its biggest milestone. BarleyWorks is upstairs as you enter the Huether Hotel (map), and we’ll be on the second level of BarleyWorks in the large room at the back. Monday’s Waterloo City Council meeting had many delegations (as well as written correspondence) speaking passionately against moving the Iron Horse Trail between Park and Caroline Streets to give Mady Corp. an easier parcel of land for development. Overwhelmingly, citizens lucidly explained the issues in the new trail alignment — two walls, poor sightlines at the 90-degree turn, a crossing of a parking garage entrance, and others — as well as in the development itself. Nevertheless, all opposed delegations made it clear that they support intensification in this area — but that they expect better, especially if major concessions are granted. In our presentation, Mike Boos explained that aspects of the new alignment — the proposed 2.0m width for biking (separate from the walking section), the path crossing a driveway, and the 90-degree turn — are at odds with the City’s own Transportation Master Plan and the draft of the Ontario Traffic Manual Book 18 on cycling facilities (PDF). A representative from Mady actually responded that they would certainly increase the cycling width to 3.0m, adding that they were not aware of the needs of cyclists. After a meeting with some heated questions and discussion, Waterloo City Council approved the development re-zoning application and the trade of the Iron Horse Trail, in a 4:2 vote, with Councillors Melissa Durrell, Mark Whaley, Scott Witmer, and Mayor Brenda Halloran in favour, and Councillors Karen Scian and Diane Freeman opposed. Roger Suffling, a professor of planning who presented on behalf of the Easy Riders Bicycle Club, has since weighed in with an excellent column on the bigger picture of the planning process. The editorial board of the Waterloo Chronicle has criticized the precedent the decision sets, and that of the Waterloo Region Record has pointed out that creative alternatives for that site should have been given due consideration much earlier. In our experience and that of others who chose to present, the general trail-using public became aware of this proposal either through the last minute media coverage, or only after the decision was made. The only outreach to general users of the trail was a standard development application sign on the site. Neither were alternatives for development or routing at any point presented for public or Council consideration. Given that, it’s hardly surprising that there is a protest planned (see also). Going forward, it’s clear there will be and needs to be substantial public involvement in the design of the corridor between Park and Caroline Streets in the new alignment. But with staff and Council saying that part of their interest was in addressing issues with the current trail alignment, there is also still the possibility for the City of Waterloo to consult with the trail-using public on creating additional alignments for cyclists through that general area that would avoid the issues we and others have pointed out in the new section. We’ve written before about the 155 Uptown development proposal, which is a 19-storey condo tower plan predicated on the City of Waterloo agreeing to a land swap to move a portion of the Iron Horse Trail. Worryingly, the staff report indicates that the City of Waterloo considers the Iron Horse Trail to be a purely recreational facility. And while there have been a couple of neighbourhood meetings and committee consultation, the general trail-using public has not been consulted about this plan, and most are probably not even aware. Planning documents for the development, as well as the staff report and recommendation. Disposition of the Iron Horse Trail property – formal meeting for the land swap decision on June 10. Zoning by-law amendment – formal public meeting for development approval, on June 10. Contact for City Council. Call or email councillors with your thoughts, in addition to providing comments through the formal meetings linked above. We believe that land in close proximity to LRT stations should indeed be intensified, but with less parking, more active streetscapes, and more sensitivity to the surrounding transportation context than the current 155 Uptown plan. The City of Waterloo should not be making exceptions (and trading off public assets) to facilitate merely “transit-adjacent development”, and instead should focus on making actually transit-oriented development.